A beech tree (Fagus spp.) has a symmetrical crown and thin, smooth, silvery-gray bark that thickens as the tree matures. Turf grasses, groundcovers and other plants do not grow well under a beech because the dense growth and low branches create an area of deep shade. Beech trees grow in USDA Hardiness Zones 3 to 8 and prefer well-drained soil in full sun to partial shade. They are fairly resistant to infections, and most diseases do not require treatment. Numerous leaf spots infect the foliage of beech trees, but they usually are not serious enough to need treatment. Leaf spots can be circular or irregular in shape, and the leaf tissue may drop out of the infected areas, leaving shot holes. The spots can be yellow, reddish brown, purplish brown, brown, gray or black. Some may have lighter- or darker-colored margins. Leaves that are severely infected may wilt, wither and drop prematurely. A fungus causes powdery mildew on beech trees late in the season. Dusty white or grayish-white patches of fungus grow on infected leaves, shoots and stems. The growth may cover entire leaves, causing premature drop. The disease is usually not severe enough to need treatment. Two species of scale insects transmit the fungus that causes beech bark disease. Small red circles of fungal reproductive organs form on the bark of infected trees in the fall. 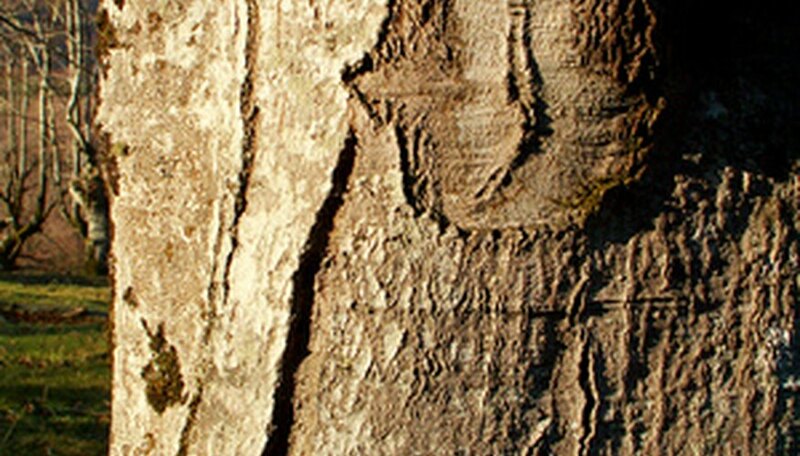 The bark and wood in the infected areas dies and forms cankers, which girdle and kill affected branches and eventually kill the tree. There is no preventative or treatment for beech bark disease. Use an insecticide for scale insects on beech trees according to the manufacturer’s directions to get rid of the pests and lessen the chance of infection.